There are few events in the American TV calendar that spark excitement quite like the Super Bowl, and when the Rams collide with the Patriots on February 3rd in Atlanta, you’ll want front row seats, even if you can’t get to the stadium. Rights to air the game alternate between the three main rights-holders for the NFL – Fox, NBC, and CBS – who will show the game this year. CBS will host the match on its TV channel, and also stream it for free at CBSSports.com, as well as on its CBS Sports App. However, if you’re not located in the United States, you might not have many options to watch it, at least without paying a premium. The CBS Sports site will identify if you’re accessing it from outside the USA, and will shut down your access to the stream. Bad news if you happen to be out of the country when the big game kicks off. The good news is that technology can come to the rescue, and with a decent VPN, you can follow the game play-by-play, without a hitch. A VPN (Virtual Private Network), effectively creates a ‘tunnel’ to route your internet connection to a secure proxy server, from which you then access the rest of the internet. The benefits of doing this is that the VPN server hides your real IP address, which is unique to you and used to identify your location, among other things. Instead, you can choose which country to route your traffic through, which in turn enables you to access the internet as if you were based in that country. There are several benefits to this, including being able to access content that you would usually be geo-blocked from, including region specific media content (such as Netflix). How Can I Use a VPN to Watch the 2019 Super Bowl? Once you’ve picked the right VPN for you (we recommend checking our list below), download the app and install it on your device. Log in with your account details, created as part of the sign-up process. Now you’re ready to go. As you’re looking to watch the 2019 Super Bowl via the CBS site, you need to make it look as though you’re located in the United States. How you do this will depend on the VPN you’re using, but usually it will be a simple case of clicking on the region’s flag, or selecting it from a map within the VPN. Now that you’re connected, it’s simply a case of visiting the CBSSports.com site and settling down for the game. In this instance, you don’t need to sign up for an account, so you can jump straight in. However,, to access any other US sites or services, you may be required to set up login details. If you don’t want to watch the game with the US commentary, but would rather have the choice of another provider, you can easily switch your VPN to the region of your choice. In the UK, for example, the BBC have the rights to air the 2019 Super Bowl, with its own British commentary. If you still need some guidance, head to our user-friendly guide on how to set up a VPN for the first time. Some VPNs are a great fit for experts, while others are aimed squarely at new starters. PureVPN (click for full review) manages the seemingly impossible and straddles both, offering a fantastic, easy to use VPN that also has a wealth of options for the tech-savvy to play with. As well as giving you access to region-locked websites (vital for watching the Super Bowl from outside the US), PureVPN is also one of the few apps that can give you the keys to Netflix’s international library. Set the country you want to access the service from, log in with your Netflix subscription, and you’ll have that entire country’s content available to watch. PureVPN also offers a great suite of data protection options, which is a key benefit of using a VPN. One of these, ‘Privacy’, actually masks your identity when using a file sharing network. Open up the internet with our highest rated VPN, with this special offer for two years of Pure VPN for just $2.48 a month – a 77% saving. 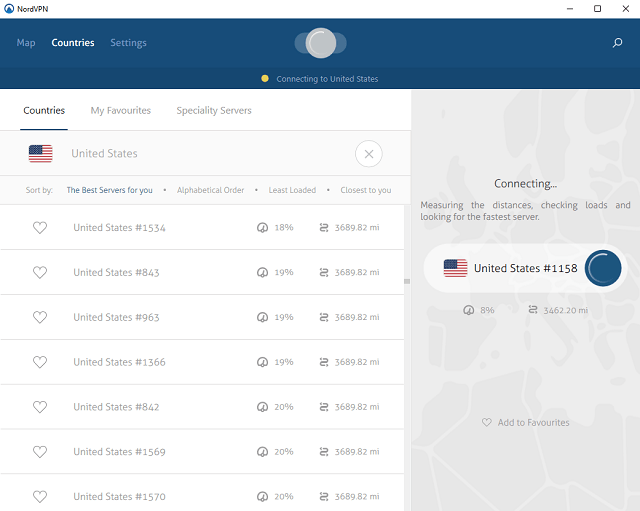 NordVPN (click for full review) is a fast and powerful VPN, and offers excellent value for money, especially if you commit to the year subscription plan, or longer. 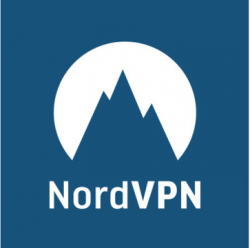 If you’re concerned about your online privacy, then NordVPN could well be the right choice for you. Its data encryption is military-grade, which means that you won’t have to worry about online snoopers as you access the web – a particular comfort if you’re using a public WiFi service. It also has a wide reach, with 3,600 servers across 62 countries, meaning that you’ll never struggle to find a server to route your traffic through. It’s flexible too, with a single subscription allowing you to use NordVPN on up to six different devices. IPVanish (click for full review) is aimed more at those who have used VPNs before, and could prove daunting to newcomers. However, for those with some technical acumen, it’s an incredibly powerful tool, with options to change the VPN protocol or enable different levels of leak protection. If that means nothing to you, we’d suggest sticking with the excellent PureVPN or NordVPN, above. One of the key benefits of IPVanish is its excellent speeds. No VPN will be as fast as your connection when you’re not using one, but some handle slowdown better than others, and IPVanish manages to barely dip at all, keeping a consistent speed that won’t impact your use. 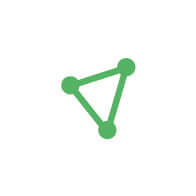 IPVanish owns and operates 1,000 servers in over 60 countries, and allows peer to peer file-sharing, which some other VPNs actively ban. 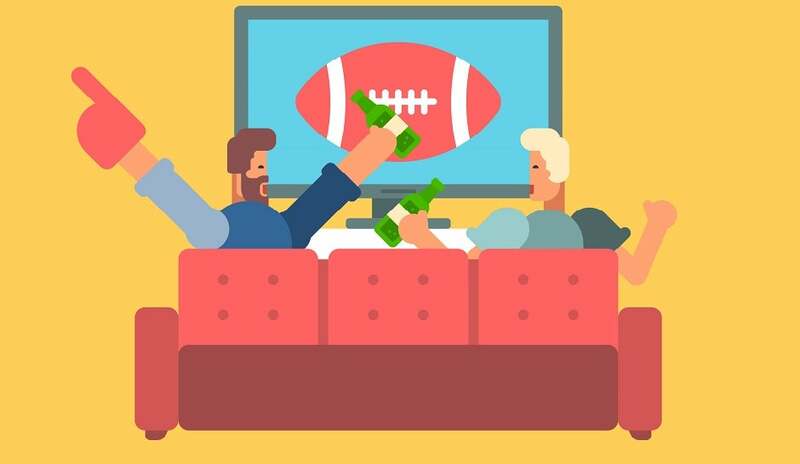 Can You Use a Free VPN to Watch the Super Bowl? We’d advise against it. While there are numerous day-to-day reasons to avoid using free VPNs – including dubious privacy protections, limited numbers of servers to connect to and being served distracting adverts while you use them – there’s a big one to consider when it comes to streaming a big event: Data. Yup, most free VPNs have a pretty tight data limit, and that means there’s only so much streaming you can do before you hit the cap. With a big ticket event like the Super Bowl, which you’ll want to watch in HD, don’t expect to make it to the half time show over a free VPN. Should I Keep My VPN After the 2019 Super Bowl? A VPN is a cheap addition to your internet tools, and in 2019, it’s practically essential for those that care about their online privacy or want to open up the internet and access content they wouldn’t usually even see from their region. When the Super Bowl ends and the last of the confetti has been swept from the field, it’s well worth holding onto your subscription. If you’re a big sports fan, then there’s great coverage across the globe of your favorite teams and games that you could well be missing out on. Fire up a VPN, and you can have instant access to whatever you want, whenever you need. Then there’s streaming content from services such as Netflix, which typically restrict the films and shows you can see dependent on location. This is due to strict licensing agreements which dictate what Netflix is allowed to show in each territory. With a VPN though, this is no longer an issue. Netflix is aware of the VPN workaround, and tries to detect VPNs in use – not all services are successful in accessing Netflix, so check out our guide to the Best VPNs for Netflix. There is also a huge privacy benefit to using a VPN, as they actively hide your activities and data. This means that it’s very hard to snoop on anyone using a VPN, or intercept their data. In real terms, this provides immense peace of mind when using public Wi-Fi, or just don’t want your service provider to keep tabs on you.